Riechedly Bazoer has had time to assess the Wolfsburg terrain. Undaunted by the club’s precarious predicament when arriving in Lower Saxony from Ajax last January, the 20-year-old Dutch midfielder tore off his tracksuit top and got to work. With the Wolves eventually maintaining their top-flight status and now preparing for a fresh start in the Bundesliga, Bazoer is ready to realise his awesome potential. A club in transition when he walked through the green doors last winter alongside fellow recruits, Paul-Georges Ntep, Yunus Malli, Victor Osimhen and Ashkan Dejagah, Bazoer soon witnessed a coaching change, with Valérien Ismaël replaced by Andries Jonker. Impressed with what he saw in the former PSV Eindhoven youth player, Jonker started Bazoer in every game, taking advantage of the Dutch talent’s versatility by using him in a variety of positions, most notably as a holding midfielder and wide on the right of attack. “He played every match for a reason,” Jonker told reporters, before knee injury ruled Bazoer out of the end-of-season loss at Hamburg and subsequent relegation play-off with Braunschweig. 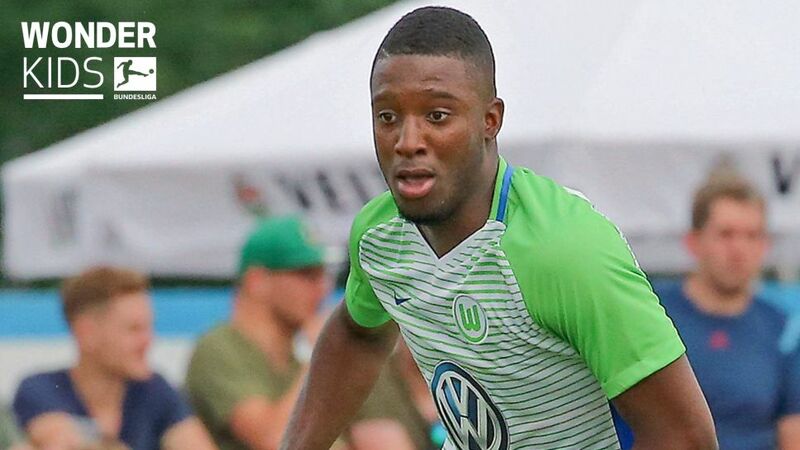 His absence in the latter tie mattered little, with Wolfsburg triumphing, however, Bazoer’s contribution to a Wolfsburg team aiming to recreate past glories next season will be vital. “He is so fast and powerful; plays uninhibited yet is stable – he is a great talent;” Dutch legend and Bazoer’s former coach at Ajax, Frank de Boer once said of the Utrecht native. “I see him as a major force in the future,” the former Holland legend added. Developing into an impressively tall, slender yet tough and athletic frame, Bazoer’s build and ability have seen him draw comparisons with former France great Patrick Vieira. Indeed, when operating as a number six, the former UEFA European Under-17 Championship winner with the Netherlands possesses the power to rob opponents of possession and the subsequent focus to distribute attacking passes with pin-point accuracy. His physical prowess also allows for speed, thus in his final games for Wolfsburg last season, Bazoer played in an attacking role on the right, just as he did at times within a 4-3-3 formation under De Boer at Ajax. And then there is his finishing, with long-range thunderbolts a speciality. "Really, I'm a box-to-box player,” the Wolfsburg recruit explained recently. “I cover a lot of ground and I’m technically good. I’m self confident and although I know I still have to develop, I’m pretty complete, in the way Yaya Toure is.” That impressive confidence is checked by Bazoer’s mother, who insisted her boy remain in the Netherlands at 16 to continue his development when several European giants came calling. There were options to move elsewhere last January, too, but Bazoer was focused on finding the best fit to continue his impressive progress. "The confidence [Wolfsburg] showed in me was crucial, not their position in the table," Bazoer – who has already won six senior international caps with the Netherlands - said. “In two or three years I will be a better player [because of this move].” And the Bundesliga will be a better place for Bazoer’s presence in 2017/18.